Important Statements from the Jackson camp and pertinent transcripts from various TV shows about Michael. KING: Very shortly after Michael Jackson's death, his father Joe started raising questions about the possibility of foul play. He repeated that theme last night when he appeared on this show. Watch. KING: Are you implying, then, that the doctor committed foul play? JACKSON: Something went wrong. Something went wrong, Larry, because when they tried to bring Michael back, he was dead. Something went wrong. KING: Joe also pointed a finger of suspicion at Michael's personal physician, Dr. Conrad Murray. We asked Dr. Murray to respond to Joe Jackson's comments. His spokesman has issued this statement: "we are not going to respond to any statements made by the Jackson family or anyone else at this time. Dr. Murray continues to cooperate with Los Angeles investigators in their efforts to determine the cause of Michael Jackson's death." Our Hollywood insiders are next with their takes on Joe Jackson and last night. Don't go away. KING: Joining us now here in Los Angeles, Jim Moret, chief correspondent for "Inside Edition," an attorney, and a frequent host of this program. And in New York, Roger Friedman, senior correspondent for the "Hollywood Reporter." He blogs at ShowBiz411.com. What did you make of last night, Jim? JIM MORET, "INSIDE EDITION": We've been talking about it all day. It was a strange interview. It seems as if he wanted to rehabilitate himself. He said a lot of strange things in the past. And I came away feeling that he fell flat. I really do. I didn't understand what he was trying to say. Whatever it was, it didn't seem to be working. KING: I felt frustrated. I guess you could tell. MORET: I could see that. You said it many times, you're his father. Why haven't you seen his body? Why didn't you know about the autopsy report? You didn't even hear about his death until a fan told you? Those are strange things. KING: Roger, what was your read? ROGER FRIEDMAN, "HOLLYWOOD REPORTER": Larry, I thought you were very deft. You did a great job with him. You just let the two of those guys just talk and talk and talk until they talked themselves into a hole. That guy Leonard Rowe, the idea that he could be Michael Jackson's financial adviser for two minutes -- if you knew the list of things that he's had wrong legally, including at least two incarcerations, past bad checks -- I mean, he has quite a history in the concert promotion business. And, of course, he's just the kind of guy that Joe Jackson would be aligned with. And then Joe Jackson just lying, lying, lying about everything. And how he can sit there and say he never beat Michael. He had a press conference for about six journalists about eight years ago where we asked him about disciplining his children, and the way he described it was I beat their backs. I mean, that's how he talks, and that's how he treated those kids. I mean, this is a guy who has no self-awareness at all and seems to have no idea of what his position is in his own family. KING: During our interview last night, Joe insisted that he made no mistakes in raising Michael. Here's what he said when I asked him about those allegations of abuse. KING: Didn't he once say that you physically and emotionally abusive to him? JACKSON: I have never been abusive to him. Never have. KING: Did he say that? Did he ever say that to your knowledge? JACKSON: I don't know whether he said that or not. The media keeps hollering about abuse. I never abused my son. MORET: It is not the media that's accusing him. 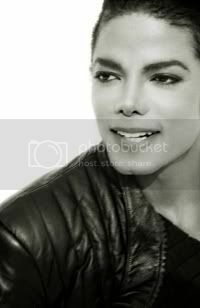 Michael Jackson said to '93 to Oprah Winfrey in a huge interview, and again ten years later, in another huge interview, my father beat me. He abused me. This has been out there in the public. Michael Jackson isn't here anymore to refute Joe Jackson's claims. It has been out there in the public. Joe Jackson had his opportunity to refute it. He didn't. KING: Roger, wasn't the age, though -- he's 80 years old -- of spare the rod and spoil the child? FRIEDMAN: Not exactly. I have people who worked for the Jacksons in the '70s, who talk about how when the kids were rehearsing for the Jackson 5, if Joe didn't like what Michael was doing, and Michael was his star, he would lock him in a dark closet until he was ready to take him out. Not only he harassed, he tortured this kid. You wonder why Michael Jackson says he couldn't sleep. If he did die of Diprivan or something where he couldn't sleep and needed extreme medicines to make him sleep, this is why; he had nightmares about Joseph Jackson. This is why Joseph Jackson is not in Michael's will. That should tell us everything right there. KING: I also asked him about Michael's three kids and whether he would encourage them to go into show business. Watch. JACKSON: I'm not encouraging them to do nothing. Nothing of the sort. They have to be what they are, kids at the moment, yes, and be raised properly. JACKSON: Not true. That is a bunch of jive. I wish I could say what I should say. That is a bunch of bull. That's a bunch of bull. MORET: You were very polite with him. He said it himself. He said boy that Blanket sure can dance. I know Paris wants to do something. I think somebody talked to him. I think they said, look, you are hurting our ability to have Katherine as the guardian of these kids, because someone, possibly Debbie Rowe, is concerned you are going to insinuate yourself into their lives and do them what Michael Jackson said he did to Michael. KING: When we come back, we'll ask Roger about the other fellow who was on the show, Leonard Rowe. Don't go away. KING: Leonard Rowe, a former business associate of Michael's, also appeared on last night's show, highly critical of AEG Live, the promoter for Michael's This is It concerts. Here is some of what he said. LEONARD ROWE, FMR. BUSINESS ASSOCIATE OF MICHAEL JACKSON: Michael was being controlled. I was not on AEG payroll. I was not one of their people. They did not want me around Michael Jackson. Nor did they want anyone around Michael Jackson that they did not control. Because if they could keep people from around Michael Jackson, that was trying to look out for his well being, and people that actually cared about Michael, they could reach their goal of stripping Michael. That's what I truly feel -- felt. KING: Roger, what do you make of that? FRIEDMAN: All right, these two guys, they're the only ones that anyone was trying to keep away from Michael Jackson. They're the only two that were kept away. Leonard Rowe and Joseph Jackson actually called me on March 18th -- I just looked it up on my cell phone bill. They called me to say, right after the AEG Concerts were announced, that they wanted to get involved and take over the concerts. Joe Jackson said to me, I have to get in there and fix this, because it is no good. Why was it no good? Because he and Leonard Rowe were not getting a cut of it. Last year, Leonard Rowe was sued successfully by R-Kelly, the singer, for 3.4 million dollars for setting up a fraudulent concert tour. He also had to paid Nio, another R&B singer, 700,000 dollars. The guy has an awful reputation. He's not even a concert promoter. He's just a bad guy. KING: By the way, at our request, AEG sent us a statement addressing a number of assertions made by Joe Jackson and Leonard Rowe. AEG says Michael wanted nothing to do with Rowe and dismissed him. AEG also says Rowe apparently misunderstands the facts with regards to decisions about the This Is It concert. AEG says "Michael Jackson was very much involved in not only selecting and hiring the individuals on his management, business and medical teams, but also with the creation of the concerts, the scheduling of the performance and rehearsals, development of the merchandise, and other related facets of the show. He determined ultimately who his advisors were, as well as all of the creative content of the concerts." MORET: One other point you have to make. Leonard Rowe said Michael agreed to ten concerts and then they made it 50. That's not true at all. They agreed to 31 concerts. They rolled out the first ten. They saw that the response was amazing. They went back to Michael Jackson. They agreed to add 19, brining it up to 50. Michael Jackson was a very shrewd businessman. I think to suggest that he didn't know he was obligated to do 50 concerts -- and they spaced it out over nine months at his request. KING: Roger, you were going to say? FRIEDMAN: I was just going to say about that statement -- I just had this today on ShowBiz411.com. Sony Pictures is going to release a movie -- I'm giving a good plug. Sony is going to release a movie. They paid 60 million dollars for the rehearsal footage that went on. AEG had 100 hours of rehearsal footage. This movie is going to come out on October 30th. And it is going to show Michael very involved in all aspects of the show, not just doing a Moon Walk. MORET: Roger, I think that deal still has to be approved by the probate judge, which has all these days. But I think John Branca is the one who negotiated that, right? FRIEDMAN: Yes. The Jackson estate, not the family, the estate gets 90 percent and AEG gets 10 percent. The film is going to show that Michael was completely in charge of his own faculties. KING: What keeps the legs going in this story? MORET: There are so many branches. KING: The star is gone. MORET: No, that is not true. There is more music coming out. We are going to hear music from Michael Jackson for years. We're going to see footage. There is one estimate that that movie could make 350 million dollars at the box office. People are fascinated by Michael Jackson. He has now been humanized with that horrible footage that we saw of him on fire. We see a different side to this man. Now people are looking at his art. And they're looking at this bizarre soap opera around his life. KING: Do you think people feel sorry for him based on how his father performs, Roger? FRIEDMAN: Based on how his father performs. KING: Looking at his dad and the way he handled himself, do you feel sorry for Michael? FRIEDMAN: I think people feel sorry for Michael and maybe for all the kids. I think they are starting to understand what Michael and La Toya and some of the other kids have said over the years about what was going on in that house. It always seemed unreal, but now it is very real. KING: Jim, they are going to make a lot of money, though, now, right? They'll make more money now than when he was alive. MORET: The sad truth is that there is no one spending the money that he was spending. So it is all income. It is sad, but it is riveting. You're riveted. Every night, you say no more and then you are here. KING: I'm here. I fight it, but I lose. Thanks, Roger. Roger Friedman, senior correspondent for the "Hollywood Reporter," and Jim Moret, chief correspondent for "Inside Edition." Jim is also an attorney. If he did die of Diprivan or something where he couldn't sleep and needed extreme medicines to make him sleep, this is why; he had nightmares about Joseph Jackson. Whoa... They should avoid drawing conclusions like that. They're really stretching it. He has now been humanized with that horrible footage that we saw of him on fire. So, this movie will be shown in theaters? Yeah that 'humanized him' line makes me wanna punch somebody. He was ALWAYS human. Its inhuman a$sholes like Jim Moret who couldn't see his humanity. It wasn't Mike's fault that those like Jim Moret had their heads up their a$ses and couldn't see what a brilliant person he is. (yes, 'IS').